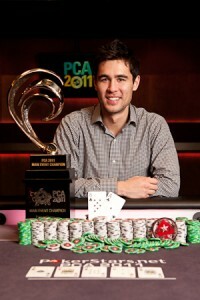 Ziigmund to Quit Playing Poker? Ilari “Ziigmund” Sahamies is an online poker legend, having won millions in his short career, and this is despite some early tilt issues –often brought on by playing online poker while drinking—which the Finnish pro has put an end to over the last couple of years. However a massive downswing in 2010 has caused the young pro to reexamine his life, and judging from his blog at coinflip.com it seems he is not sure if poker will continue to be a part of it! It’s hard to say why some people get burnt out on poker and others don’t, but judging from his posts, and his overall mood during the downswing, it would seem that Ziigmund is indeed burnt-out on poker. We’ll have to wait and see if he decides to take some more time off or perhaps take an extended amount of time off, or if simply dropping down in limits and grinding away some good wins will do the trick. After revealing himself to the world at the PokerStars PCA tournament series, Viktor “Isildur1” Blom now finds himself amidst an all new controversy,; this time it’s not a poker opponent, but the Swedish tax authority, according to a Swedish newspaper called Dagens Industri. 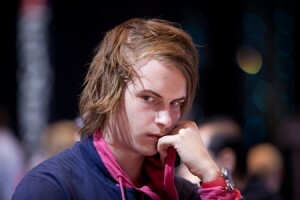 According to the article, Viktor Blom has drawn the attention of the Swedish tax authority thanks to exploits on Full Tilt Poker. What makes the case so interesting –and explains Blom’s low profile and hidden identity– is that Swedish law taxes all pots, not money won, played at any site not operating inside the European Union. Heading into the final table of the PokerStars Caribbean Adventure Main Event final table it looked like Chris Oliver –who controlled 40% of the chips in play– was going to walk away with the title and throughout most of the final table he did nothing that would sway anyone into thinking otherwise. Oliver spent most of the day increasing his chip-stack and utterly decimating the other players at the table with his wild play, and a healthy dose of “Run-Good”. Unfortunately for Oliver, after controlling the action for some 9 hours of the final table his run ended in a matter of minutes as Galen Hall was able to turn a 37 million to 10 million chip disadvantage, into a PCA championship in roughly 30 minutes! Hall was able to “dodge bullets” all night long, and at one point even folded a straight when Oliver had a full house, one of the better lay-downs in poker history. He finally got something going when Oliver ran into a cooler on an A-4-2 board holding bottom-two-pair; the problem was Hall held A-2 and was able to double through, and for the first time at the final table Oliver was facing a dangerous opponent in terms of chips. 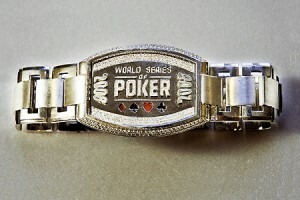 According to poker.org the person who won the EBay auction for Peter Eastgate’s 2008 World Series of Poker Championship bracelet has finally come forward, and the man who was willing to part with the $147,000 necessary to own a piece of poker history was Scottish philanthropist and poker enthusiast William Haughey. There’s no doubt that while playing poker for such high stakes in nationally televised shows or well-known tournaments that tensions can be high and blowups may occur. Actually, you’d probably be surprised that it doesn’t happen more often. We’ve done some looking back and wanted to bring you the top 5 best blowups. 2008 seemed to be a bad year for Phil Hellmuth’s patience and seeing as he is the “poker brat” it’s no surprise he is featured prominently in the top 5. He did not though, make our #1 pick. Who did? Favorite line(s): It’s generally hilarious that of all people to be arguing about etiquette it’s Phil Hellmuth and Jean Robert Bellande!